In the beginning, before we even thought of owning an antiques shop, we loved to travel. Combine that and our sense of adventure with an addiction to buying antiques, and Brocante was born. Since 1999 we have been traveling the back roads of France in search of country French antiques – furniture, furnishings and unusual decorative items with stories to tell. We personally select merchandise to fill our store locations in Texas and Louisiana with an eclectic mixture that captures the French country style and experience. Our hearts have led us to the south of France, an incredible area filled with color, charm, history, and great food. While our collections often include treasures from other parts of France and other countries, Provence is the magnet that draws us back and speaks to us like no other place. We are often asked what “Brocante” means. In France, brocante shops generally contain a mixture of period antiques plus objects of charm that represent the life and work of the people in that region. This blend of decorative and utilitarian items defines the true country French style. At brocante shops you can never be sure what you will find. These shops are full of eclectic, interesting, beautiful, and often quirky things just waiting for a new home! Objects from farm and vineyard, religious items, architectural elements, and period furniture blend beautifully in brocante shops. 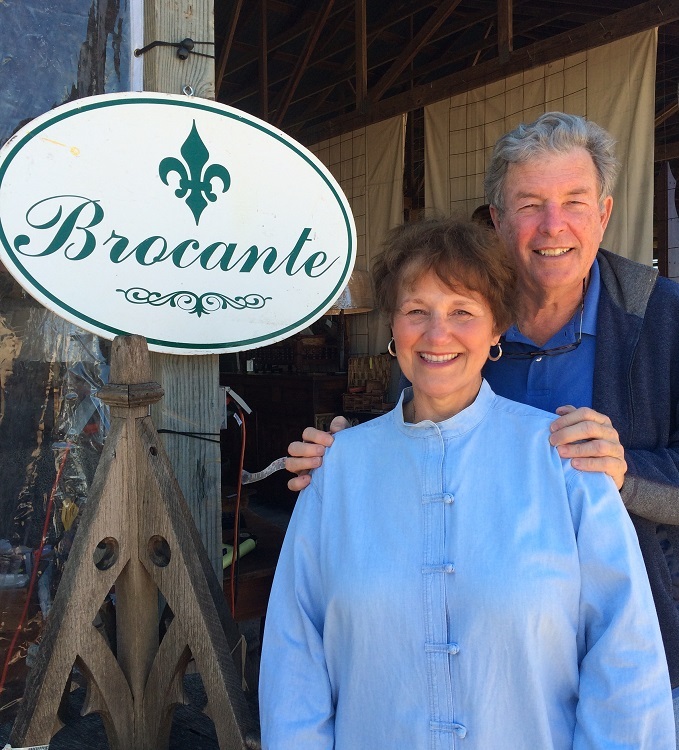 When we started our own Brocante French Country Antiques, we wanted to give our customers that same type of shopping experience that represents the French countryside and its lifestyle. At our own Brocante, we want customers to experience the French countryside and its lifestyle. Bienvenue!